Finally, it will rain in Barcelona, are you ready for continue pedaling? 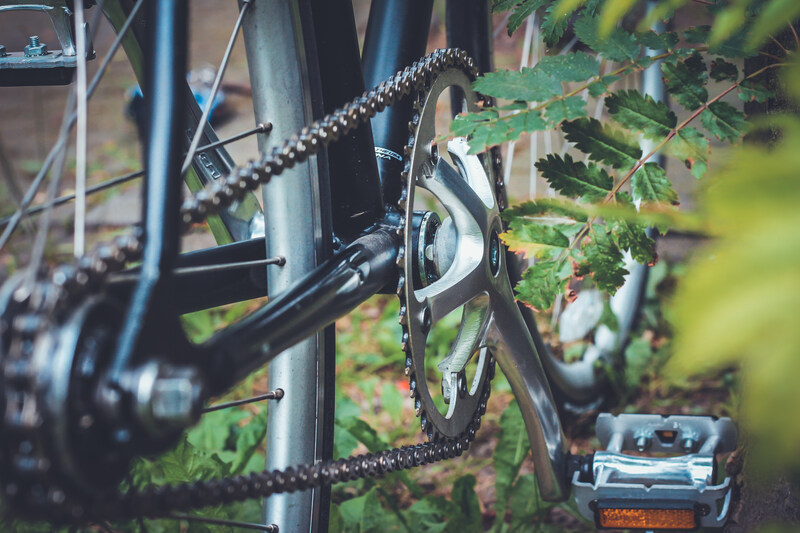 These autumn months haven’t been so wet as always and, although some people appreciate the convenience that this means when you have to take the bike, we need to be aware about the importance of the rain in the city. Rain is an indispensable element for life and, specially, in the city, this is a key element for cleaning the accumulated pollution. If you are a person who pedals through the streets of Barcelona daily, breathing a clean atmosphere is very important for you. So, when the autumn rain will arrive, the best we can do is waiting for them with excitement and ready. Remember wearing the appropriate equipment, waterproof clothes, a footwear which resists rain without problems and all the elements which make you being more visible, especially for the motor vehicles: reflective clothes, the front and the back bicycle lights. A back mudguard will avoid you to arrive at your destiny with your back full of mud. During April and May the rain is unavoidable and, although for some people this can embitter his/her walking, we want to recall its profits for the city and some of the tips, which will allow us to ride the bicycle without worries. Cities like Barcelona usually have problems regulating the pollution levels. A key element for this regulation is the rainwater, because it reduces the air’s polluting particles and it levels the temperature. In addition, if the city is sensitive to the benefices of rain, it can take profit from other characteristics. With rain it is possible to generate electric energy to illuminate the city. We can irrigate our plants and crops and facilitate the life of the nearby fauna. And as far as the level of the domestic consumption is concerned, we can take advantage of this water to fill tanks and cisterns. If all these advantages are not be able to raise your spirit during rainy days, you can try going out and pedaling. Adequate equipment: waterproof and flashy clothes and shoes which facilitate the visibility for the rest of the other vehicle drivers; a ready bike with branded wheels, a clean and lubricated chain and good brakes plus; and all your senses on the road. These three key elements will allow you to enjoy your trips on rainy days, while the others stress themselves with the unavoidable traffic jams of these days. In the end, you will miss these rainy days. 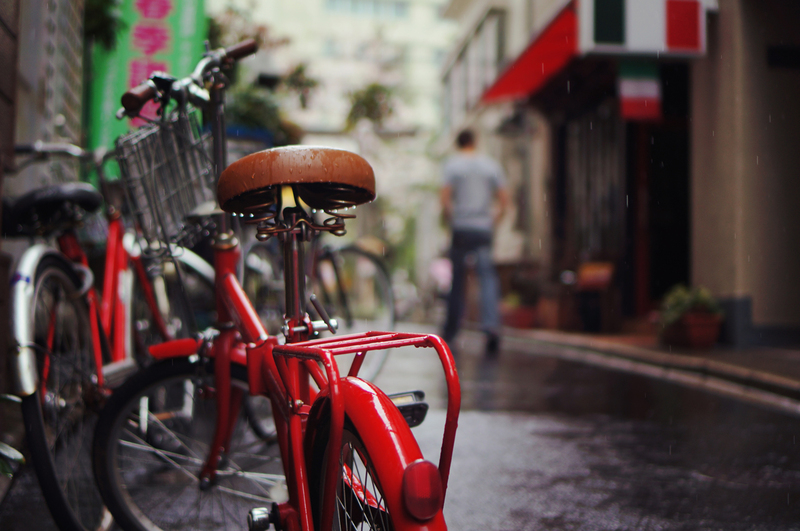 Although the rain can be a bit annoying, the autumn’s temperature is perfect for circulating around the city by bicycle and for taking advantage of the weekends for doing excursions. The only thing that you need to keep in mind is to follow some safety tips which we want to remind you about. You should always take a comfortable raincoat with you (there are some of them that you can use that over your trousers) and a good footwear for circulating on bicycle, especially, and for any other occasion where you could be surprised by a rainstorm. So, keep it in a comfortable backpack and take it everywhere. When it is raining, inside cars people use to lose vision, for this reason it is even more important for you to have front and back bike lights, put emphasis on your safety signs and be sure that the other drivers pay attention to your next maneuver. Even though all these things seem a lot of bother, but if you drive a car or another vehicle, surely, you will have the same problems. And, of course, don’t forget your helmet at home! Improve your adhesion to the road to the maximum, avoid slipping! When it is raining, it is the only occasion where we can reduce the pressure of our wheels (only a little bit, because you could get a flat tire). It is also important to keep in mind that the zebra crossings and the other painted signs on the road could be very slippery, so try to avoid crossing them directly or if you can’t avoid it, cross them very slowly. Sometimes the cars lose oil on the road and this is very dangerous too. When it is raining, you can identify the oil stains easily, they are multicolor marks that appear on the road. As you can imagine, neither is it advisable to go through zones with mud, unless you want to arrive at the first meeting of the morning with your whole back decorated. If you keep these three tips in mind, you will enjoy one of the best seasons for doing sport or for going from one place to another avoiding sweating. Enjoy the autumn in Barcelona or any other city!